The Throughbolt is the ultimate "through fixing" with the hole diameter as the bolt diameter. It is ideal for bolting in place awkward fixtures without the need for marking out, removal and repositioning. 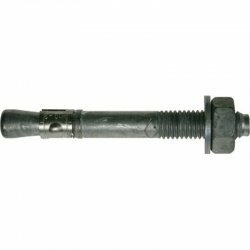 It is a torque controlled anchor suitable for use in concrete over C20/25 strength. 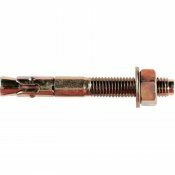 The Throughbolt is the ultimate "through fixing" with the hole diameter as the bolt diameter. It is ideal for bolting in place awkward fixtures without the need for marking out, removal and repositioning.It is a torque controlled anchor suitable for use in concrete over C20/25 strength. 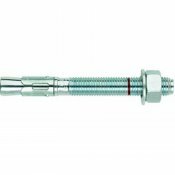 The Stainless Steel Throughbolt is grade A4/316. It is the ultimate "through fixing" with the hole diameter as the bolt diameter. It is ideal for bolting in place awkward fixtures without the need for marking out, removal and repositioning. 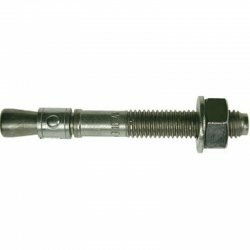 It is a torque controlled anchor suitable for use in concrete over C20/25 strength. 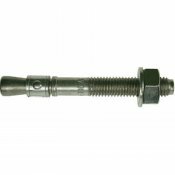 The hot dipped galvanised throughbolt is a torque controlled fixing suitable for use in concrete from C20/25 to C50/60. The hot dipped galvanised finish to a minimum thickness of 42um offers good corrosion resistance together with excellent load bearing capabilities. 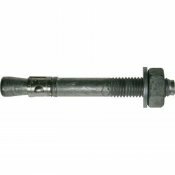 A zinc plated, torque controlled through fixing suitable for use in cracked and non-cracked concrete range between C20/25 and C50/60. Ideal for fixing brackets, cladding, restraints, racking, fabricated stairwells and industrial doors. 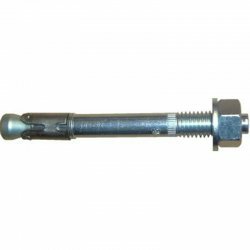 This AWA throughbolt is a torque controlled through fixing suitable for use in concrete over C20/25. 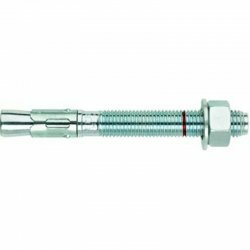 ;The zinc plated and clear passivated anchors has a wide range of diameters and lengths together with excellent load bearing capacities.